The mcr-1 gene–a gene that makes bacteria resistant to colistin, an antibiotic of last resort, and that is transferrable between bacteria–has been found in a wide variety of strains of Escherichia coli in China following widespread use of colistin in agriculture. As China prepares to introduce the drug for the first time in human medicine, two new studies published in The Lancet Infectious Diseases provide evidence of how widely the mcr-1 gene has spread to bacteria in clinical settings, including to a minority already resistant to the carbapenem class of antibiotics, and highlight the need for caution and careful prescribing when the country introduces colistin. Infections that are resistant to carbapenems are already common in many countries and in these cases only a small number of antibiotics are effective, including colistin. In 2015, the mcr-1 gene was discovered in China and subsequently identified in other countries including Denmark, Germany, Vietnam, Spain, and the USA among others , raising fears that bacteria may acquire combined colistin and carbapenem resistance, making them multi-drug resistant. Two studies published today come at an important time in China. Colistin, which has been used extensively in farming in China since the 1980s, was recently banned for use in agriculture, and will soon be introduced in clinical use for the first time. The first study, led by Professor Timothy Walsh at Cardiff University (UK) and Professor Jianzhong Shen at the China Agricultural University, looked at the prevalence of bacteria carrying the mcr-1 resistance gene in human infections in two hospitals in Zheijang and Guangdong provinces across 8 years. Among more than 17000 bacterial isolates associated with infection, mcr-1 was detected in 76/5332 samples of E coli and 13/348 samples of Klebsiella pneumoniae. The study is the first to look at risk factors for clinical mcr-1 infection and found that people who had used antibiotics (particularly carbapenems) before hospitalisation were more likely to carry bacteria with the mcr-1 resistance gene. Among 146 isolates of mcr-1-positive E coli identified, only five were also carbapenem resistant. “The emergence of mcr-1 heralds the breach of the last group of antibiotics, such as colistin. The withdrawal of the drug from agricultural use, and its introduction in the clinic might reduce colistin resistance rates in the community, and increase resistance in hospitals where they may be harder to treat or spread more easily. Our study finds that there are significant risk factors for the spread of mcr-1 infections, beyond just rural living and diet. The spread of colistin resistant bacteria will likely worsen when the drug is introduced in humans,” says Professor Tim Walsh . The second study, led by researchers at Zhejiang University (China), tested samples from over 2000 bloodstream infections at 28 hospitals in China. 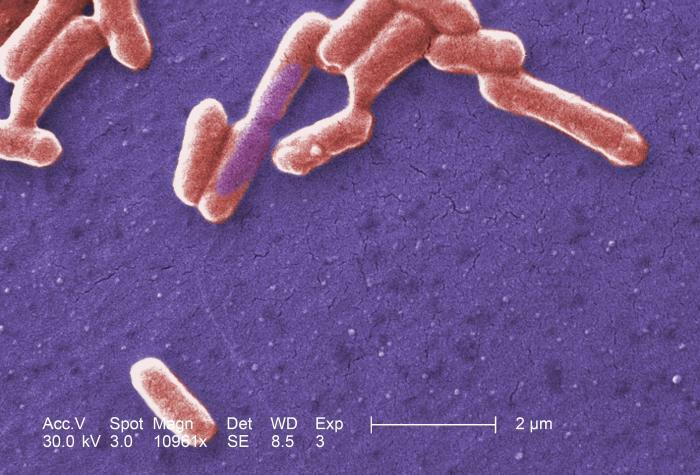 Of the 1495 E coli samples, 20 were mcr-1 positive, one of which was also carbapenem resistant. Patients with mcr-1-positive infections were all treated successfully with other antibiotics. “The most troubling problem for clinicians would be the transfer of colistin resistance to a bacterium which is already carbapenem resistant, making it multi-drug resistance. This does not appear to have happened to any great extent in clinical isolates, but the situation should be monitored carefully as the country prepares to introduce colistin for use in humans,” says Professor Yunsong Yu, Zhejiang University . Discussing the findings from both papers in a linked Comment, Professor David Paterson, University of Queensland (Australia) and Associate Professor David van Duin, University of North Carolina (US) write: “at this stage we can conclude that the doomsday scenario of convergence of carbapenem resistance and colistin resistance (via mcr-1) has not yet occurred to any great extent in China. However, prior use of carbapenems was a risk factor for mcr-1 producing E coli, perhaps implying that the intersection between carbapenem resistance and the presence of this colistin resistance mechanism may yet be seen in the future. Furthermore, the spread of mcr-1 into globally widespread and virulent strains of E coli such as ST-131 is cause for ongoing concern and surveillance.